Book reviews, thoughts on writing, French arts and culture, food, music, and literature. Bellewether’s live show was fantastic. Lots of banter between songs (perhaps Oksana and Carol-Anne are thinking about alternate gigs as comedians? Maybe?) and great music. Vocally the group is fronted by Oksana and Carol-Anne, and the two have great harmony. Their album is just as good as their live show. Split into two Acts, with instrumental tracks, it is (in the words of Oksana, during one bantering moment) based upon a dream. The tracks flow into one another and create an excellent listening experience. I’ve listened to it while writing, and it’s just right. I’m already looking forward to the next album, and to the next live show. 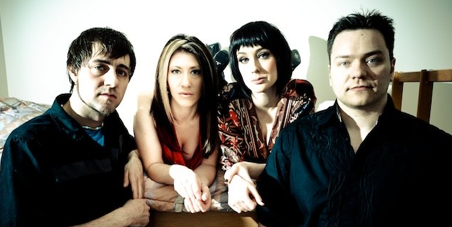 Check out their website at bellewether.ca and listen to tracks at MySpace. Buy the album at iTunes. 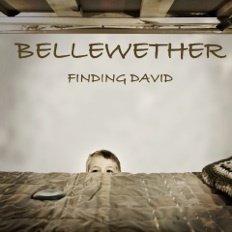 This entry was posted in Music and tagged bellewether, calgary, cd release party, finding david, indie, music. Bookmark the permalink. A novel set in 1920s Chicago. A torch singer at a jazz club past its prime desperately needs to pay off a debt she owes to the club owner, a vicious gangster. She makes a wager with her ex, a wealthy art dealer and cynical businessman, who wants her back in his bed. The target of their wager is a young woman already in love with a bartender at the club. If her ex can’t succeed in seducing this young woman, he’s sworn to pay her debt, but if he succeeds, she’ll submit to his every desire. Your one stop for your indie publishing needs! Manuscript editing, formatting, cover design, promo... we have it all.